In the market for a 4K TV? There’s never been a better time to get one. They’re cheaper than ever before. There’s more 4K content available than ever before. 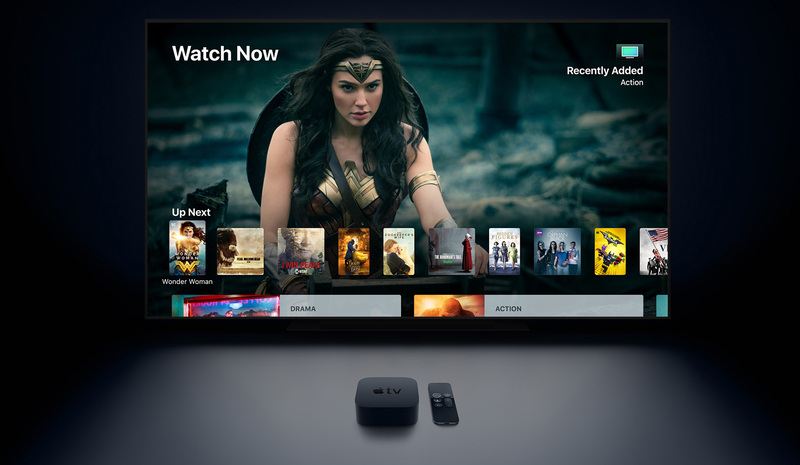 And not only is Apple now selling 4K Apple TVs, but it has also promised to upgrade everyone’s HD iTunes movies to 4K (as they become available) for free. So the question is no longer should you get a 4K TV, but which 4K TV should you get? That’s where iDB comes in. 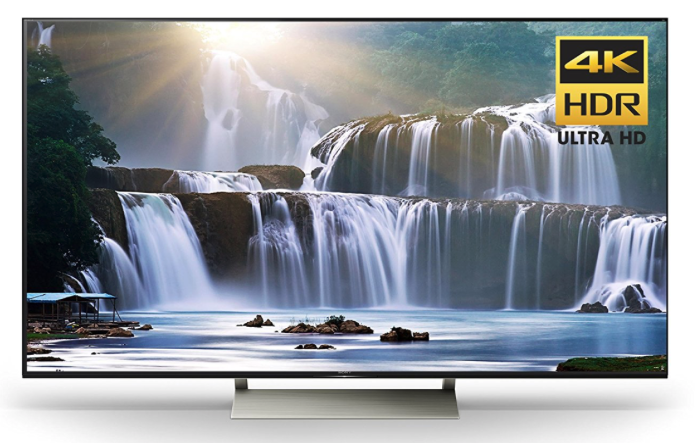 We’ve put together a guide of some of the best 4K TVs available right now based on a variety of factors including pricing, feature set, personal experience, customer feedback and expert reviews. Since Apple and everyone else seems to be talking so much about HDR, we felt it important to explain what it is. HDR stands for High Dynamic Range, and the term actually comes from an old photography technique used to enhance a picture’s luminosity. In terms of video, HDR technology can significantly expand the range of both contrast and color—two of the most important factors in how a TV looks. 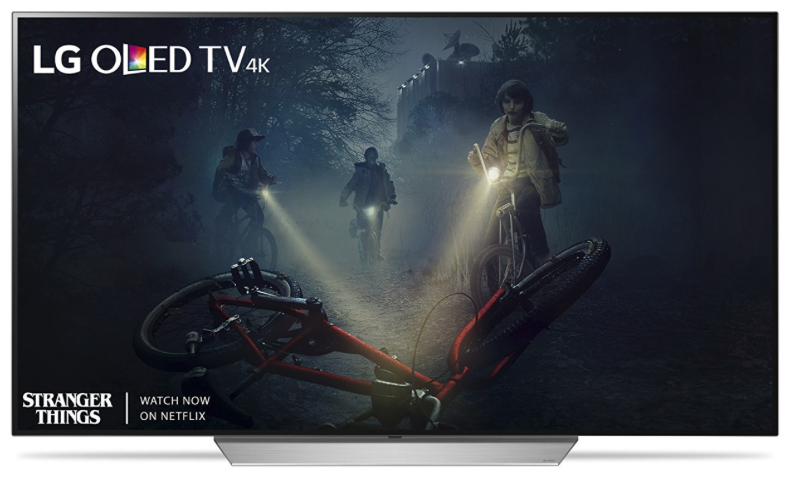 To put it simply if you were to put two 4K TVs next each other, one with HDR and one without, the one with HDR would likely have a better picture. There are several different standards for HDR, but to keep things simple, in this guide we’re only going to focus on the two that the Apple TV 4K supports: HDR10 and Dolby Vision. Yes. Research suggests that the average human eye can’t discern the difference between 4K and HD resolutions on screens under 55-inches—unless you’re sitting within 3 feet of them. Because of this, we’re only including 55-inch TV sets and larger in our guide, and recommend that you get the largest screen size that your budget and space restrictions will allow. Obviously if you plan on sitting closer to your TV—say, if you’re going to be using it as a computer monitor—then a smaller size will suffice. You may not be as familiar with TCL as some of the other brands on this list, but its one of the world’s best-selling consumer electronics companies and is now the fastest-growing TV brand in North America. 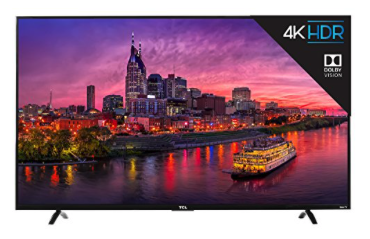 This particular model has been named best bang-for-your-buck 4K TV available right now by a number of publications and it’s easy to see why: features include Dolby Vision HDR, full-array LED backlighting for deep blacks, 120Hz refresh rate for less motion blur and a bevy of inputs. It also has built-in Roku for easy browsing of streaming channels and other smart features. Sony has long been a highly regarded name in TV sets and it actually has several highly-rated 4K models available today. We particularly like the X930E for its smart mix of outstanding picture quality and high-end features. Those features include HDR10 support (Dolby Vision support expected to be added in an upcoming firmware update), Grid Array for deep blacks and better contrast, 120Hz native refresh rate for reduced motion blur, 4 HDMI ports and several other inputs, and Android TV for smart features. This model is obviously on the more expensive side of this list, but almost all of the reviews say it’s worth it. In a similar price range, we like the 65-inch LG C7. This one stands out thanks to its OLED (organic light-emitting diode) display which is thinner, more efficient and better performing than other panels, and for what it’s worth, it’s the top selling OLED TV on Amazon. Features include support for premium features like Dolby Vision and Dolby Atmos surround sound tech, webOS 3.5 smart TV software—yes the webOS Palm used to use in its smartphones, built-in Sling TV streaming service, and a unique blade-like design. If you want an impressive TV and aren’t really worried about pricing, this is the one to get. Samsung is another company that makes a solid 4K TV set (I own one myself) and the MU8000 marks a great value. We like the MU8000 55-inch because it has a nice sweet spot between features, picture quality and price. 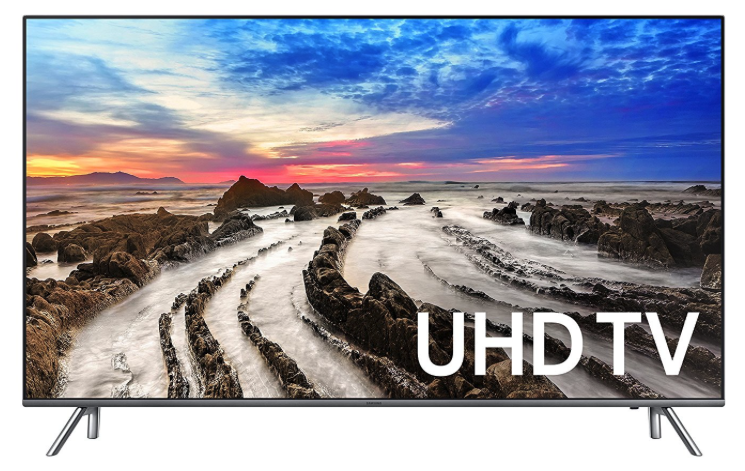 Features include support for HDR10 (however it does not have Dolby Vision), great blacks and contrast, low input lag, decent brightness (which again works in favor of HDR), beautiful small-bezel design and Samsung’s smart software. I also have to put out that it comes with a great remote—it’s small, with just a few buttons, but it does everything you need it to with ease. 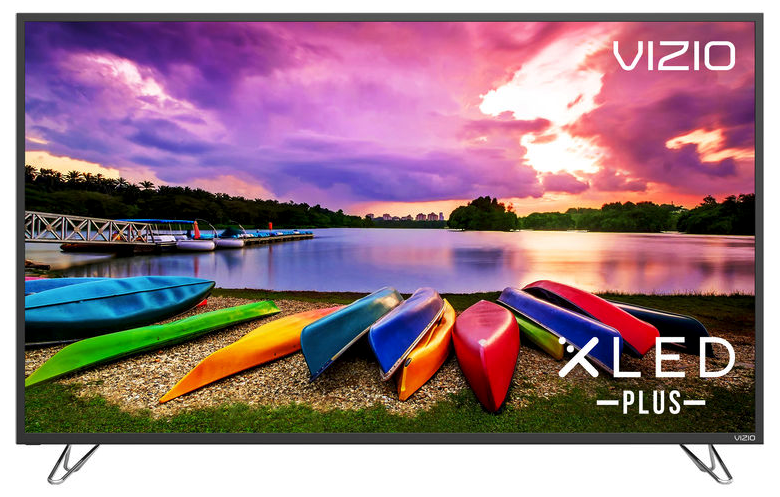 Vizio is a brand that is synonymous with value and picture quality. We particularly like the M65-E0 and for under $1,200, go for the 65-inch model. Features include HDR10 and Dolby Vision compatibility, 120Hz effective refresh rate with Clear Action 360 tech for smoothing out the blur that comes with fast-moving objects, 32-active LED zones for deeper blacks and built-in Chromecast, which allows you to cast apps and media from your mobile device directly to your TV via WiFi. If I were in the market for a large-screen TV today, this one would be at the top of my list. 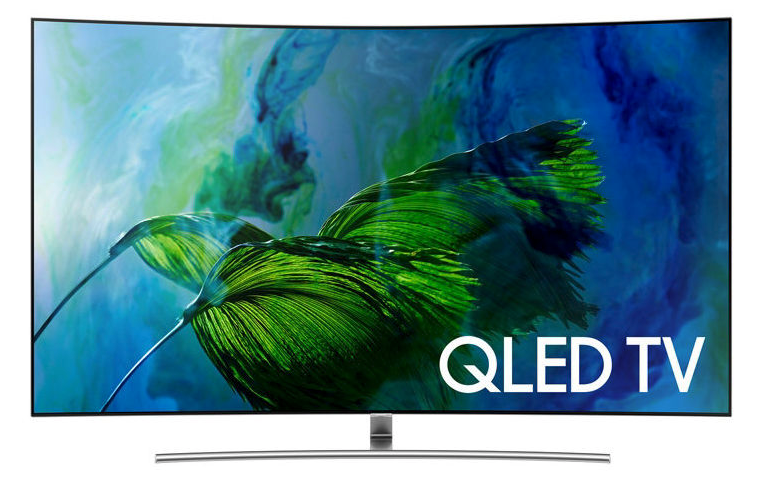 So the Samsung Q8C is another high-end set from the South Korean electronics giant, and what sets it apart from the others on this list is that it’s a curved QLED panel. The jury is still out on whether curved TVs are just a fad or truly represent the future, but the argument for them right now is that they provide a more immersive viewing experience with a sharper, brighter picture that has more contrast and viewing angles than a standard panel. Otherwise, the Q8C hits all of the other premium TV features: HDR10 support, Motion Rate 240 for reduced motion blur, screen mirroring technology, smart TV software and a ton of inputs. I know this isn’t technically a TV set, but I thought I’d throw this in as a wildcard option. If you have a home theater, or some other type of setup where a TV may not be big enough, your next option is a projector. Now obviously there are a ton of models out there, with varying technologies, but for the purposes of this article we’re recommending the Sony VPL 4K. 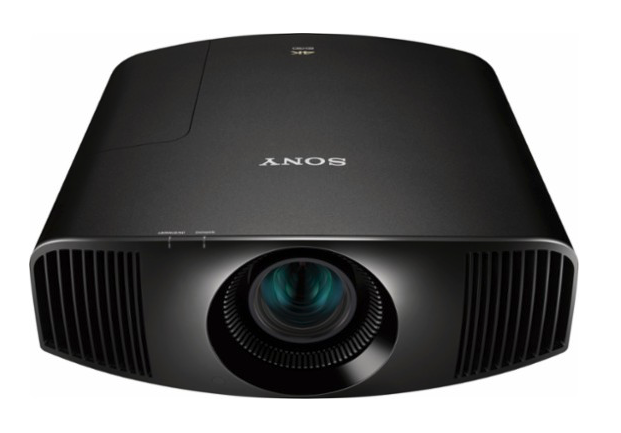 It’s brand new, highly anticipated, and Sony says it’s one of the first true 4K projectors to hit the market with a price tag under $5K. Features include 4096 x 2160 resolution, Motionflow tech, HDR, and dual HDMI inputs.